The script has been signed on the cover and states "Back-up #2 orig. Enjoy! No Mercy! 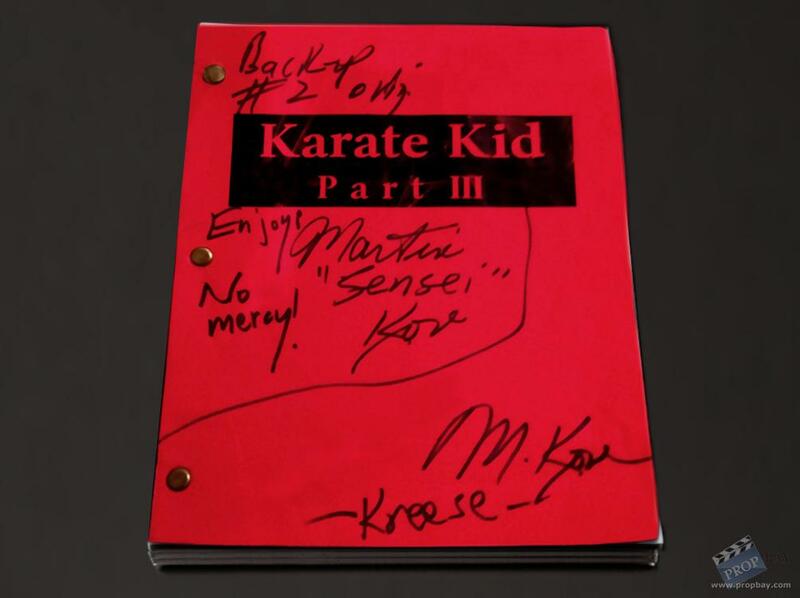 Martin Sensei Kove" The script contains areas in which Martin highlighted his lines as well as dialogue changes he wished to make to better suit his characters voice. Some expected usage/wear due to age and filming, but otherwise in very good condition. Comes complete with full documentation. KARATE KID 3 (1989) Columbia Pictures. Directed by John G. Avildsen. 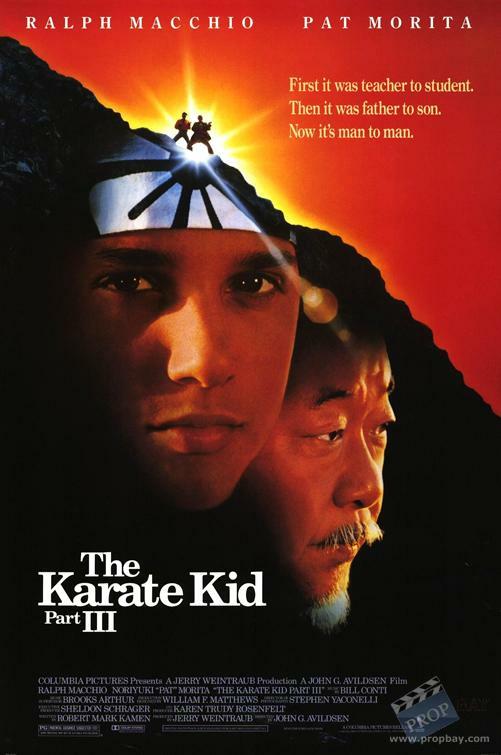 Going against the wishes of his mentor, Mr. Miyagi (Noriyuki "Pat" Morita), Daniel (Ralph Macchio) will defend his karate title in an All-Valley Championship match arranged by his nemesis Kreese (Martin Kove), whose karate studio folded after his star student lost the championship to Daniel. Kreese's friend, Vietnam veteran and toxic waste dumper Terry (Thomas Ian Griffith), agrees to help his old pal regain the championship trophy. Daniel's rival Mike Barnes (Sean Kanan) is known as "the bad boy of karate," and Daniel feels he requires more training to vanquish him. 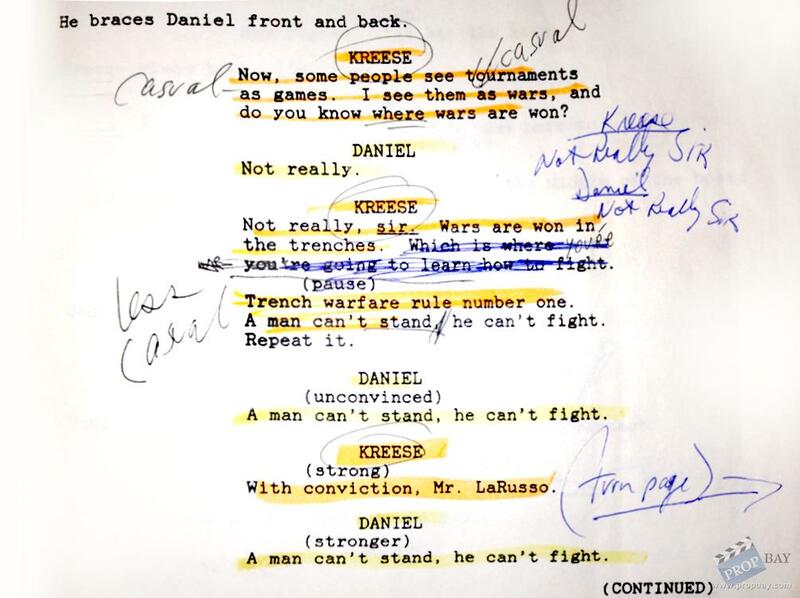 But Mr. Miyagi refuses to help Daniel train for the tournament: "Karate to defend life and honor means something. To defend a plastic trophy means nothing." As a result, Daniel naïvely falls into the clutches of Terry, who takes him on as a karate student. But after Daniel finds himself trapped at the bottom of a cliff and Daniel's girlfriend, Jessica (Robyn Lively), has her life threatened, Mr. Miyagi realizes the bad guys have gone too far and agrees to coach Daniel for the tournament. If you have any KARATE KID props for sale, please feel free to contact me as I am always interested in expanding, changing and trading my collection. Added: 12-01-2013 - Viewed: 1264 times.